You might think hunting is all about guns, rifles, camo gear, and you’re best sneaking abilities. And while it is all of that, hunters also use hunting cameras, also called game cameras, for tracking animal movement and patterns. This helps the hunter get the best idea of what area to hunt in for their desired animal. It saves them a ton of time, as a good portion of the waiting around for an animal to come by is cut out, as you know where they’ll be, all thanks to the game camera footage. That said, what are the best hunting cameras on the market right now? What specs should you look for when purchasing one? Are there brands you should stay away from? Here’s the good news: we’ve done all the leg work for you, showing you what the best hunting cameras are below. Here are our top picks. First up on our list is the Browning Strike Force hunting camera. 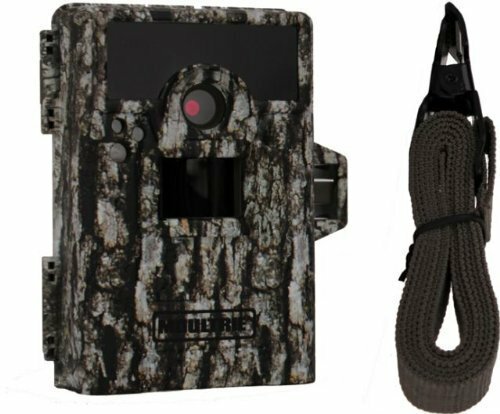 This is a great camera for hunters, as it has a design that blends in with the woods — animals won’t know it’s there. It has a 10-megapixel camera and has a trigger of 0.67 seconds — that’s the time it takes for it to start recording once the motion detector picks up something. It can record videos with sound in durations of 5 seconds or as much as 2 minutes. This camera is battery-powered, and you will have to supply the batteries for it after purchasing. It runs off of 6 AA batteries, but the camera is actually really energy efficient, so it should be able to run off of those for quite some time. 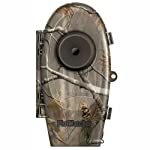 With a 8-megapixel camera, the Moultrie M-880 is a great hunter camera as well. It can take detailed high definition video with its low glow infrared mini camera. It has a less than one second motion trigger time, so you should be able to see just about anything that moves through the area. At night, it has about a 100ft range as well, so you should be able to cover a good portion of ground. A feature called Motion Free should reduce nighttime blur, giving you a much clearer picture of recorded video footage. This camera runs off of 8 AA batteries, and is super energy efficient. 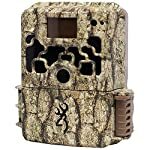 It’s got a camo design that blends in with the outdoors well, so animals won’t be spooked by this camera. Looking for something with a slightly upgraded camera? Then you’ll want to check out the Moultrie M-990i. This hunter camera is equipped with a 10-megapixel camera, which can take clear pictures at night because of the low glow infrared mini camera. Similar to its little brother, it has a less than one second trigger time, so it’ll be able to catch any and all motion. It takes 8 AA batteries and blends in well with its surroundings. The Day 6 Plotwatcher Pro is a really nice hunting camera as well. It’s got a 1.3-megapixel camera, which isn’t the best, but does operate well. The Plotwatcher Pro takes a photo with it every five to seconds from dawn to dusk, allowing you to review them at a later time. It can actually capture up to 1 million images before needing to be reset. It doesn’t capture direct video footage, but it will take photographs as implied. It actually has a 2.5-inch LCD so that you can easily review and remove images when needed. It even has support for an add-on zoom lens to get more distance in your photos. Last up on our list isn’t a trail or hunting camera by any means, but it is a way that you can control 2-way GSM cameras from afar. This application will allow you to remotely control your cameras, sending commands like take picture, get camera status, change picture size, add or remove email, change send mode, and so much more. This is an an invaluable tools for hunters that have multiple trail cams setup over many acres, allowing them to access their cameras without travelling all over creation. Keep in mind that your hunting cameras will have to still have battery life for you to be able to connect up to them. 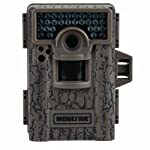 As you can see, there are a lot of great hunting cameras on the market that will help you find the perfect hunting spot. And paired with the TrailCamControl app on your smartphone, you’ll be able to control multiple cameras over a large span of space.